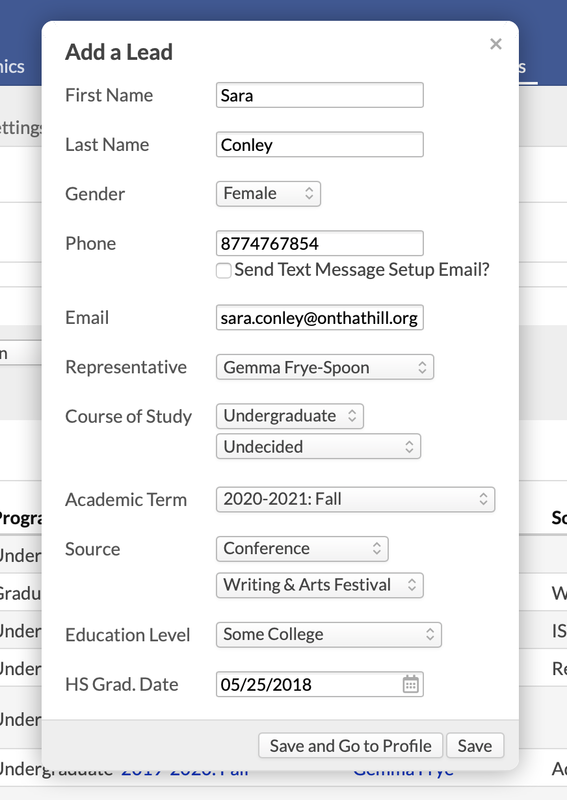 When you add a lead on Admissions > Leads > Summary, you now get a whole bunch of new fields and the option to go straight to the new lead's profile. Library > Browse Resources now has a call number filter. That means you can filter for call numbers now in the Browse Resources tool in Library! This release note is chiastic in structure, pivoting on that means, a phrase of so little portent that it really doesn't deserve a chiasm around it. Oh well! Added a person status column to the Donations > Donors XLS export; this lets you know whether an historic donor is now, regrettably, deceased. You know how the Details panel on a donation page has that terrific little Deposited Into field? Of course you do! It's been the subject of so many thinkpieces and topical rap songs that everyone's frankly a little tired of hearing about it. Well, one more thing about that field before we move on to bugfixes (can we please get some topical raps about bugfixes?!?!? ): it's now included in the Donations report XLS export. Found a bug on the Donors report that could potentially pull up an old, deleted address when you exported mailing labels. Planets kinda had to align for this to happen, but rather than mess around with galactic gravity fields (our initial plan), we typed some stuff and fixed the code. There's a thing called future pending aid that gives me a headache just to think about but that was also affecting some of the numbers on the Aging report in Billing > Current—and that was giving headaches to some of our users. We hate headaches and don't put up with them for long. Tweaked a few things so that emails marked Send me a copy from non-Google integrated schools will appear on the sender's Activity Feed. Fixed a bug that wouldn't show entries for books without cover images on the Library Shelf View thing that we do. If you exclude one tag from a mailing list and include another, we were defaulting to include a person who had both tags. We normally prefer to be cautious with these things, and all this time we thought mailing lists were excluding such folk. But they weren't. We now ensure that people get excluded in such events. So, if you want, you could say that Populi mailing lists are now More Exclusive, implying that they're like a tony golf club or some kinda Society for Fine Scotch and Cigars. That's how we talk about them here at the office at any rate. In part we're making up for the fact that there's a Domino's Pizza on the first floor of our building.